Our works of art, in a wide variety of natural hardwoods, are both beautiful and practical. 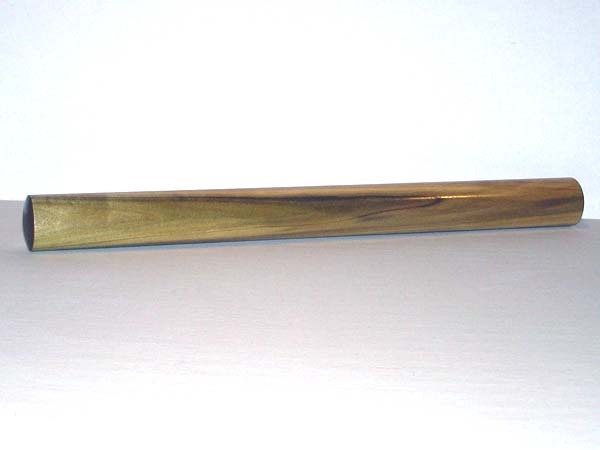 Attractive to display, designed for daily use, and finished in tung oil varnish for durability. 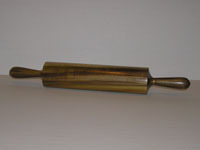 Each piece is a unique collector's item, intended to be passed down through the generations ("Grandma's rolling pin I used when I was your age"). 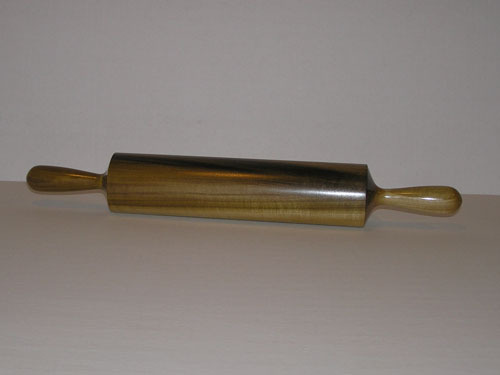 One of these classic rolling pins was purchased by Kir Rodriguez, former Executive Pastry Chef at New York's famous ORSO restaurant and current Chef-Instructor at the French Culinary Institute, New York City. 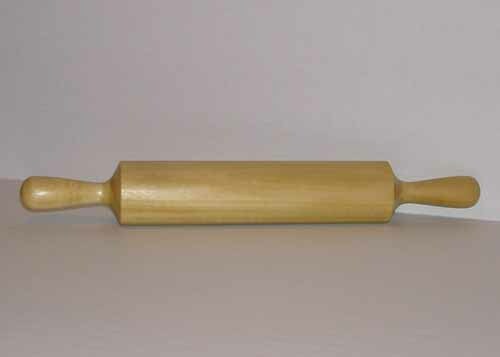 Each rolling pin is approximately 19" in length and 2 1/2" in diameter. 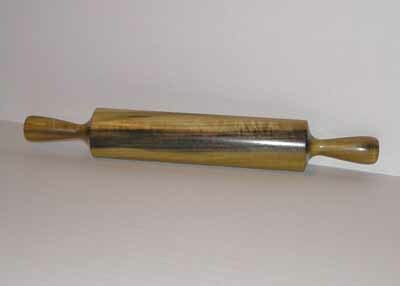 Julia Child often said that if you have only one rolling pin, it should be a French rolling pin. Following her sage advice, we added a couple French rolling pins to our collection. This style can be seen to be the choice of almost all of the cooks on the highly popular Great British Baking Show. 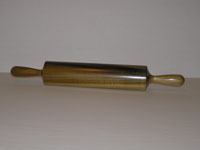 Customer comment: "The rolling pin arrived. It's beautiful. Our daughter loves it. Actually, so do I - lol. I told our daughter she could have mine (which she loved) and I'd take this new one...but sadly, no deal. : ( Lol. She just laughed at me and exclaimed, "No way!" 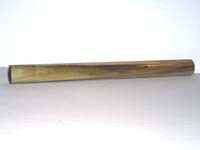 Note that as yellow poplar ages, its original shades of green and tan mature to rich shades of tan and brown. 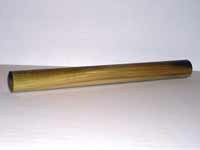 In addition, figured yellow poplar contains streaks of pink, blue, and purple which deepen with age. It takes about one to two years for the full color to develop. While some artists stain their poplar to artificially color the wood, we prefer to let nature do her work. The final result takes longer, but the colors are much richer. 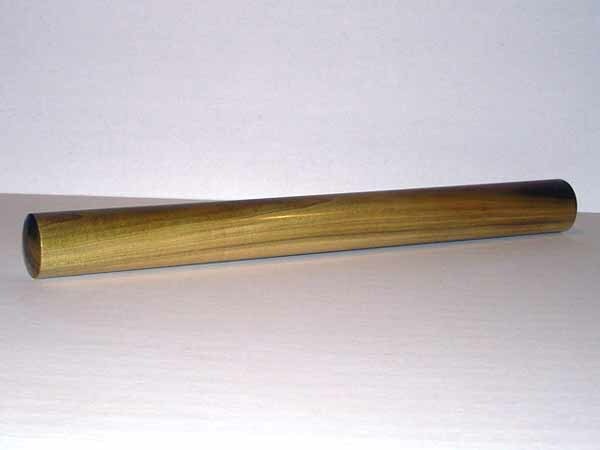 If an item sells out, we may have another and can substitute with a close color & figure match. 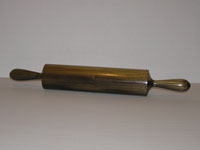 20" French Rolling Pin, 1 1/4" dia. 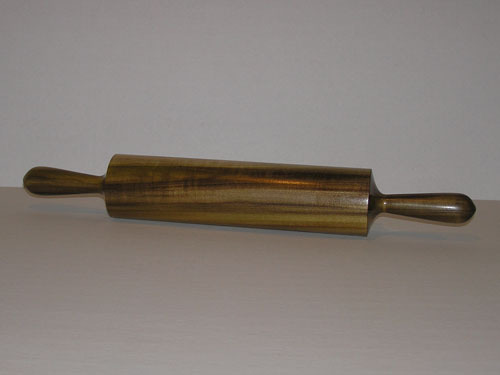 20" French Rolling Pin, 1 1/2" dia. 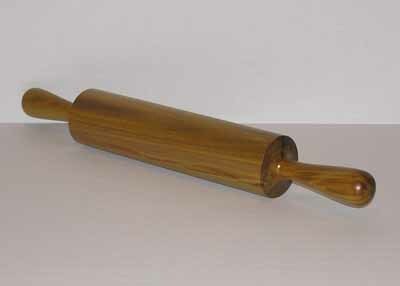 21" French Rolling Pin, 2" dia.